Saltwater kayak fisherman: Fishfinders – are they worth it ? There are a lot of kayaks out there with various electronic gadgets fitted to them. People often ask what are the benefits?, are they worth the additional expense?, how effective are they?, etc. 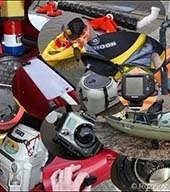 Well firstly, do you really need any electronic equipment to catch fish off a kayak?, the simple answer is no. Though what it can do is to enhance the fishing experience and ultimately improve your catch rates. I’m going to specifically look at fishfinders in this article. So how do they work?, well it’s not something I’m going to go into great detail about. Basically it uses sonar with the transducer transmitting sounds waves into the water. These sound waves will reflect off fish or structure, the reflected ‘echoes’ being picked up by the transducer with the relevant information being processed and displayed on the LCD display. The display will show the depth of the water, water temperature and the type of structure beneath the kayak (model dependent). The temperature sensor detects and displays surface water temperature. Since many fish species are found in specific water temperatures, a temperature graph or digital readout can be helpful in finding them. Remember, this is the surface temperature and has little relationship to the water temperature where the fish are holding! From time to time the display will show fish, though it’s generally limited to displaying larger or shoaling fish clear of the bottom. That being said, I’m generally not looking for fish returns at all, in fact it’s a rarity to see a fish return in the areas I tend to fish. It’s the depth indication and the structure detail that is invaluable to any angler. So what do they consist of?. Well the basic kit will contain a transducer, a display, a mount and assorted cabling. 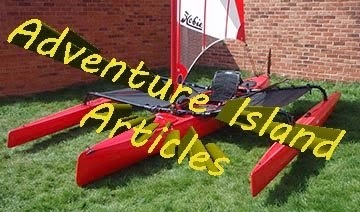 I’m not really intending to go into the ins and outs of fitting one here, there are multiple articles of a number of forums covering specific model fits to particular kayak models. The sound is transmitted in a cone shape, some models produce multiple cones operating at different frequencies such as my Humminbird 565. Multiple beam models will produce a better definition return and will generally cover a wider area. The cone angle will dictate the amount of coverage the cone provides. As can be seen above, a 60 degree cone will cover far more ground than a 20 degree cone. Below is a quick reference chart for the area covered by the specific cone angle listed. For example, if you are fishing in 10 feet of water and the cone angle on your transducer is 20 degrees, the area across the bottom is 3.5 feet. Fish returns can be displayed in two basic formats. Either as an unprocessed sonar return called an "arch", or as a Fish ID symbol (software derived). You can generally choose either presentation, though this is dependent on the model of fishfinder. To display "arches", the fishfinder relies on the characteristics of sonar. When a fish passes directly through the transducers beam, it can form an arch on the display screen. The size of the fish arch is affected by the sensitivity setting of the unit, your kayak speed, the depth of the water as well as the location of the fish within the sonar beam. Often only partial arches will be displayed because the fish does not travel directly through the centre of the beam. If the signal doesn't encounter anything along the way, it reaches the bottom. Soft bottoms like mud and weeds tend to absorb the signal. Hard bottoms such as rock reflect a stronger signal back. These subtle differences in sonar reflections appear on the display screen. That's how a fishfinder "reads" the bottom and everything in between. Experienced users will be able to differentiate between mud, sand, and rocky bottoms. The resolution of a fishfinder's display is what determines its ability to see fish near the bottom, separate closely spaced targets from one another, and to give an accurate picture of structure and the sea bed. Display resolution is determined in two ways: the vertical pixel (Pixels are the small dots that make up a liquid crystal display. Smaller pixels, and more of them, produce a more detailed image) count from the top to the bottom of the display, and the number of pixels per square inch. A large number of pixels vertically will show target depths more accurately. More pixels per square inch will provide better detail of structures, a better representation of what's below you, and improve split screen images. But remember: the contrast of the display must also be sharp in order to use the resolution. Displays are available in colour or black & white dependent on the particular model. I personally prefer black & white displays as they use far less current than the equivalent colour model. I personally feel that colour displays are not really worth the additional expense, though it’s down to personal preference at the end of the day. Thru-Hull Mount - In this installation, the transducer is generally bonded to the inside of the hull with epoxy (I used ‘Marine Goop’). Ideally, the transducer is placed close to the centre line. The signal "shoots through" the hull with some loss of signal strength. This installation must be made in an area of the hull that is made from solid material, with no air bubbles or separated layers. There are alternative methods to mounting this type of transducer to the inside hull of a kayak, these include mounting it within Vaseline/water filled ‘container’. I’d highly recommend taking your time and researching what will best suit your model of kayak. Humminbird offer a kayak specific through hull transducer which actually passes through a scupper hole. This offers a simple to fit transducer which isn’t open to de-bonding from the hull over time unlike some transducer installs. Note the transducer is visible protruding from the scupper hole in the photograph shown below. There are yet more considerations, such how to power your fishfinder. Some people use small re-chargeable batteries whereas others (including myself) use a larger SLA type battery. Again it depends on the model of fishfinder as well as your own personal requirements. For example, my battery also powers my GPS, navigation light and baitwell. There are a huge amount of models out there. Prices vary greatly from under £100 to well over a £1000 for high specification side scan models. Clearly you have to weigh up what your requirements are against your budget. But is it worth it?, for me the answer is definitely yes. Excellent post mate - like the explanation of hard/soft ground - never really understood that ! Very nice post. Thanks for the tips, the transducer mounting is very informative and a good tip! I have mine mounted in my hull. I personally think bottom machines are worth it if you know how to use them, and you obviously do. But of course they are just another tool, not gonna catch the fish for you! Florida Keys..... yup, somewhere I'd love to fish. Hoping to kayak fish with some web friends over in Tampa in the summer. Great website by the way, I've had a good look though. Your blog has become a must read for me! Great information! pleased you're enjoying it. I'm trying to add a few techy articles whilst the weather is so poor... keeps me busy ! Look for a highlight on this Saturday's Blog Rodeo on The Rasch Outdoor Chronicles™! I'll keep an eye out, loved the Yo-Yo story by the way. My daughter found a small one in her Christmas cracker. It's only an inch in diameter and a pig to handle!. Reminded me of the old days though. I'm going to try and find a good sized one for her to handle and learn a few tricks. Well I'm in two minds as whether or not to take the kayak down to Somerset this evening.... a night session on the Bristol Channel is quite tempting. I have not done fishing at all.I am buying one of these fishfinders for my brother in law who lives back home in Iran.So fishfinders work everywhere? First I thought they work like GPS becasue in my country GPS is not working we do not have satelite coverage.I just want to make sure it works for him. If it's purely a fish finder then the lack of GPS coverage is not an issue. However, if it's a 'combo' unit which incorporates GPS mapping you'd probably not be able to make use of this facility if a GPS signal is unavailable. That said, as far as I'm aware GPS works just fine in Iran so you shouldn't have any problems. Great post! I really found the amount of detail you went in for the cone angle fascinating. Regarding the transducer, I saw somewhere that you could mount the transducer at the back of the kayak like on a normal transom - except that instead of mounting it directly, you stick a plastic plate and mount it on that. Have you seen this set up anywhere? Thoughts? Condor F247 fishfinder has a freshwater/saltwater selection that automatically sets all parameters according to the water type. Good informative post.Really. Must a read once. Solid article. Of course fish finders are worth it. They make fishing and navigating the lake so much easier. Very Informative post on fishing!! Not Every fish finder is best for fishing but Humminbird 398ci SI Comboo is one of the best fish finder that I have every experienced. Thanks for this great and informative post. Altough it seems unnecessary to have fish finder , I want to buy a fish finder. Because my family like fishing. 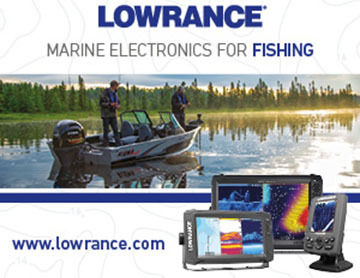 some of my friends recommend lawrence and the others Raymarine. I am looking on the net , reading reviews and both have great features. I think I will buy Lawrence. Must say that... it was a great post. 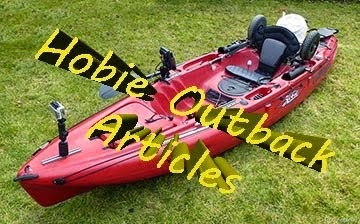 Thanks for such a good article about fishfinder reviews. Great Article. I bought the sfs33 tek and it was not worth but the Garmin 101 CC works excellent on my kayak. Some things they will find the fish manually but the fact is that it actually takes more time than using a device. Thank you, old post but it's great! Nice post, Actually I was bought a fish finder fewdays ago. But don't know how to use that. I found your blog on google search. this article is really help me. Now I've understand how i use and operate properly. I got various information about Fishfinders from this post. Your interpretation is informative. 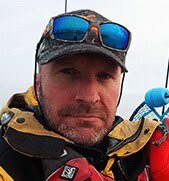 Niche post, Got many more information about Fish Finder. recently i wan a buy a portable fish finder for my fishing. I am longing for humminbird 360 scan. It fascinates me to do fish finding sitting still on my kayak. It is expensive though but sooner or later I will have enough to buy it. 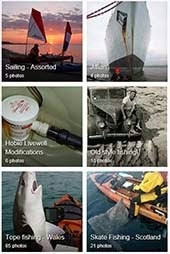 For now am on budget of under $300 and planning to use this guide as reference to get new fish finder. Hello to every one, as I am in fact keen of reading this web site's post to be updated daily. It consists of pleasant stuff.